Today is an exciting day for the future of science and the tech industry. Our announcement today that Intel will deliver the U.S.’ first exascale supercomputer for the Department of Energy is a key moment in the evolution of the industry and a testament of our commitment to deliver leading-edge technologies in partnership with government and industry. For several decades, Intel has been a proud partner of the U.S. national laboratories, helping accelerate U.S. science and innovation via deep engagements across a range of technologies, particularly in high performance computing. But today is unique in the scale, capability and impact of the supercomputer we’re announcing for delivery in 2021. Intel, with the close collaboration of our partners Argonne National Labs and Cray, will deliver the “Aurora” supercomputer which will have a performance of one exaFLOP - a quintillion floating point operations per second. In addition, this system is designed to enable the convergence of traditional HPC, data analytics, and artificial intelligence – at exascale. So, what makes this engagement significant and exciting? First, achieving exascale is a national priority to harness a level of computing performance the world has not yet seen, with potential benefits across all of society - such as health care, transportation, agriculture, and national security. The exascale computing capability will accelerate the United States’ technology leadership and enable continued competitiveness across economic, scientific, and national priorities in the 21st century. These technology innovations will drive benefits beyond high-end supercomputers as they are adopted across the broader ecosystem. Second, deepening this critical public-private collaboration will help proliferate the sharing of research and development advances across government, industrial, and academic sectors. Third, the convergence of high performance computing and AI is enabling researchers to harness data in completely new and exciting ways. Aurora will enable next-generation innovation across a spectrum of scientific fields and economic opportunities. Some specific examples I’m most excited by are deep learning for cellular or genetic personalized medicine, real-time global public heath mapping, and the discovery of transformative materials for next-generation clean energy. Intel has unparalleled assets to accelerate the path to exascale, anchored on Intel’s six pillars of innovation: process, architecture, memory, interconnect, security, and software. Each of these innovation areas will play a crucial role in addressing the various technical challenges to exascale. As an example, we are investing in new processor technologies, energy efficient designs, and advanced 3D packaging capabilities to build systems that will meet the power requirements for an exascale system. Another example is software as the programmability and real-world usability of exascale class systems is paramount. Our recent announcement on OneAPI is focused on unifying the various architectures under a single umbrella with optimized libraries to enable exascale computing for the broadest range of developers. We’re excited about the other technologies we’re developing for Aurora: a future generation Intel® Xeon® Scalable processor, the recently announced Intel Xe compute architecture, and Intel® Optane™ DC persistent memory. Aurora will be the first of many supercomputing systems built on this breakthrough exascale platform. There’s already considerable work underway between Intel and Argonne National Laboratory, as we engage with leading research and academia programs on a range of Early Science Programs to harness the capabilities of Aurora. This continuing work will foster a broad software ecosystem – not just for Aurora, but for the entire HPC and AI community running their applications on compute architectures based on the Aurora design point. In summary, we are excited about today because of what it means for tomorrow: breakthrough science and breakthrough capabilities for our customers and partners in the U.S. government arena, and new discoveries to improve people’s lives everywhere. Rajeeb Hazra, Corporate Vice President Data Center Group, General Manager, Enterprise and Government Group at Intel Corporation, is responsible for leading Intel’s Enterprise IT and Technical Computing solutions into the data center for our Enterprise & Government customer segments. 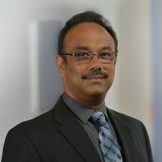 Before assuming his current position, Hazra was the director of Supercomputing Architecture, where he was responsible for strategic research and development engagements with Intel's supercomputing customers. Earlier in his Intel career, he served as the director of the Systems Technology Lab in Intel Labs (then called the Corporate Technology Lab), where he oversaw R&D in hardware and software-related systems technologies. Hazra also previously served as technical assistant to Intel's chief technology officer. He joined Intel in 1994 as a software engineer in Intel Architecture Labs, working on video compression/decompression technologies. Before coming to Intel, Hazra was with the Lockheed Engineering and Sciences Company based at NASA's Langley Research Center. Hazra holds 16 patents in signal processing and has contributed numerous technical publications to refereed technical journals and conferences. He was honored with an Intel Achievement Award in 2000 for breakthroughs in multiple generations of industry-leading video-compression technologies. Hazra earned his bachelor's degree in computer science and engineering from Jadavpur University, India. He also holds a master's degree in computer science and a Ph.D. in computer science, both from The College of William & Mary.